In a Nutshell: Today’s merchants aren’t limited to brick-and-mortar storefronts to conduct retail transactions. Every second, businesses are making new sales indoors, outdoors, and online around the globe. A reliable point of sale (POS) system and payment processor keeps merchants in business — despite the rising costs vendors pay to accept credit card payments. To help retailers reach their sales goals, 3dcart‘s e-commerce platform charges one monthly fee based on the number of staff users accessing the account. Pricing plans above the startup tier include unlimited transactions and bandwidth at no extra charge. A POS application for Apple iPad devices turns a tablet into a fully functioning cash register, capable of accepting, cash, credit, or check payments with full sales data reporting on the backend. Not long after the Civil War, James Ritty considered closing his Dayton, Ohio saloon because he couldn’t stop his employees from stealing the establishment’s profits. Business was booming and he hired anyone he could — sometimes even strangers who would disappear with the day’s earnings. He and his brother James worked for four years on an idea that led to the 1883 patent for Ritty’s Incorruptible Cashier. Unfortunately, the machine didn’t help. Within a year, the Rittys were out of business and the patent for their invention was sold to the National Cash Register Company. Over the next six decades, Ritty’s Incorruptible Cashier, renamed the cash register, was modified and became a mammoth counting machine built intentionally heavy so thieves couldn’t carry it away. Today, customers can hold a register in one hand and use their fingertips to sign their name on a screen to pay for their morning coffee. More than a century after the Incorruptible Cashier proved to be anything but incorruptible, technology companies like 3dcart offer retailers an e-commerce point of sale (POS) platform that weighs less than an average book and contains as much knowledge as a set of encyclopedias. 3dcart is a self-contained e-commerce platform that integrates with over 100 payment processors, including popular payment methods like Paypal and Square. Company Co-Founder and COO Jimmy Rodriguez said over 23,000 merchants pay one flat monthly fee to process payments, optimize their search engine rankings, and find new customers. Monthly fees are based on the number of staff users who access the platform. The startup plan costs $19 per month for a single user to list up to 500 products and process as much as $10,000 in sales per year. The Basic (two users, $29 per month), Plus (five users, $79 per month), and Pro (15 users, $229 per month) plans have no limits on bandwidth, the number of products listed or transactions posted. Those plans also feature perks that include system-generated shipping labels, a built-in blog, and card not present (CNP) capabilities for orders made over the phone. 3dcart boasts its 100 payment gateway options are more than any other e-commerce solution offers. That’s doesn’t stop the company from adding more options, including its recent partnership with Apple Pay. Retailers can choose from a host of integrated credit card processors listed by country. The company also provides processing options for ACH and check payments, as well as digital wallet payments through popular payment services like Amazon Pay and Visa Checkout. Rodriguez hinted at 3dcart adding more options in the near future. Other planned additions in 2018 include a new card reader with improved portability and feature upgrades available in current reader models, such as EMV chip card capabilities. Modern retailers don’t only accept payments at brick-and-mortar storefronts. They can make sales happen at trade shows, festivals, and other locations where space for a traditional cash register is limited. When space is at a premium, 3dcart’s iPad POS application can turn your Apple tablet into a fully functioning payment platform, capable of accepting credit cards, cash, and split payments. The application also allows merchants to apply refunds and gift cards, and send email receipts. The software supports multiple iPad devices, in case a retailer needs more than one POS at a site or has multiple retail locations. All iPad POS units generate individual sales reports that can be sorted by month, day, or hour of the day. The iPad POS can be used as a standalone product or can be connected to an online e-commerce account that generates more granular sales data to help retailers better understand their customers. Since its launch in 1999, 3dcart has participated in every stage of e-commerce software innovation. Many of those advancements can be traced back to customer feedback, which 3dcart takes very seriously. 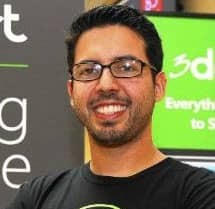 Jimmy Rodriguez is a Co-Founder and COO at 3dcart. To better understand those needs, 3dcart’s development team created a UserVoice portal where clients can post ideas for features they’d like to see added to the platform. All suggestions are made public and can be voted up by other clients. Every quarter, 3dcart pulls the top vote-getters and adds the ideas to its development calendar. Within three to six months, most of those ideas become reality. Those innovations are part of the reason 3dcart keeps growing at an alarming rate. The company provides clients an e-commerce platform that, in most cases, includes an unlimited number of transactions and bandwidth usage for one monthly payment. 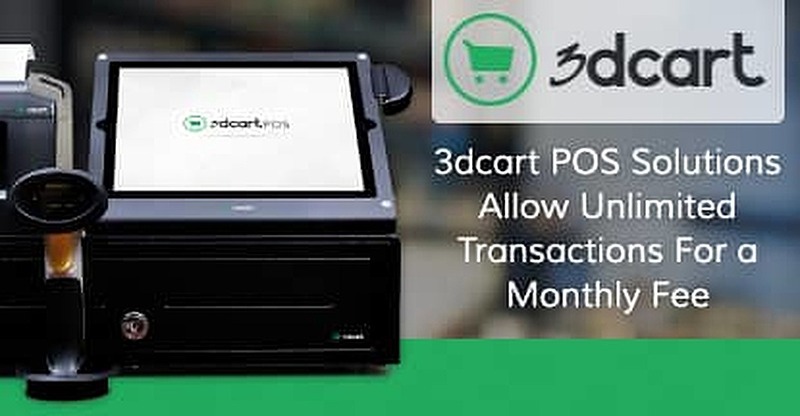 Clients also benefit from the portability of POS devices like 3dcart’s new card reader that connects wirelessly to a POS and can be carried around for easier transactions. The system is far more incorruptible than the machine built a century ago by the Ritty brothers in Ohio.